Lets open it up. 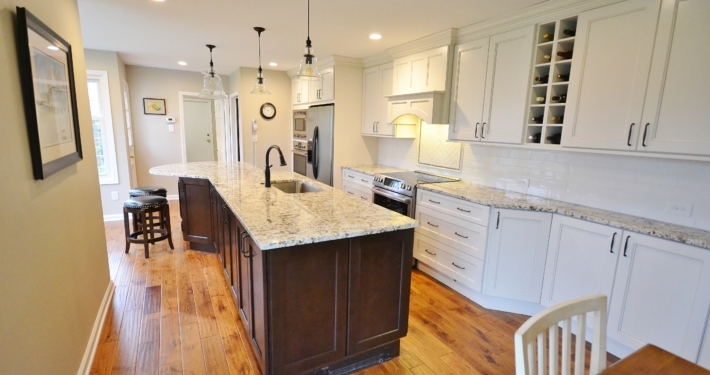 The clients wanted to remodel there kitchen and existing dining room into one new large space with eating area and large island with seating. 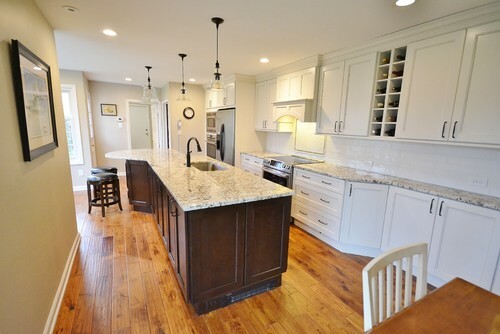 The new space is large but skinny which caused some thinking when designing the new island. 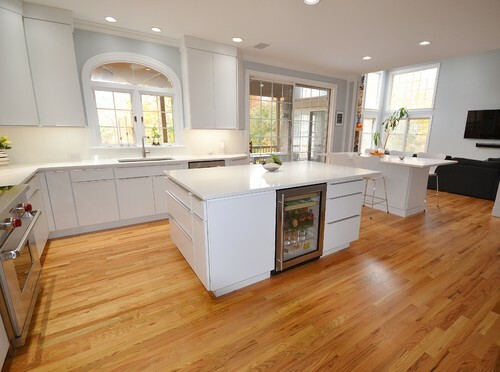 Using Fabuwood Cabinetry in Fusion Blanc for the perimeter cabinets and Fusion Chestnut for the island we designed a great new layout for this linear space. 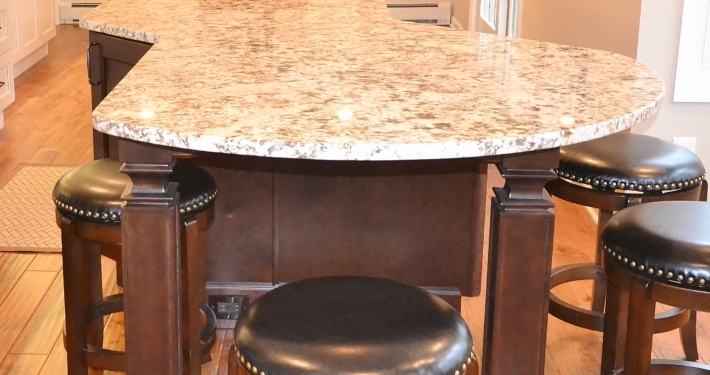 The new island has plenty of cooking prep space as well as seating and extra storage. 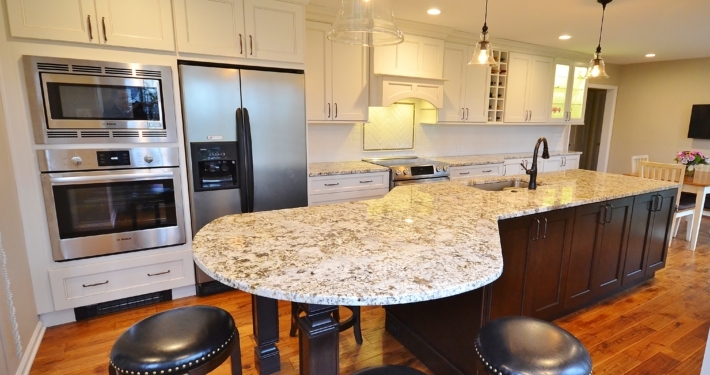 The Antico White granite has great colors tying together all the colors of the island, perimeter cabinetry, and new hardwood flooring. 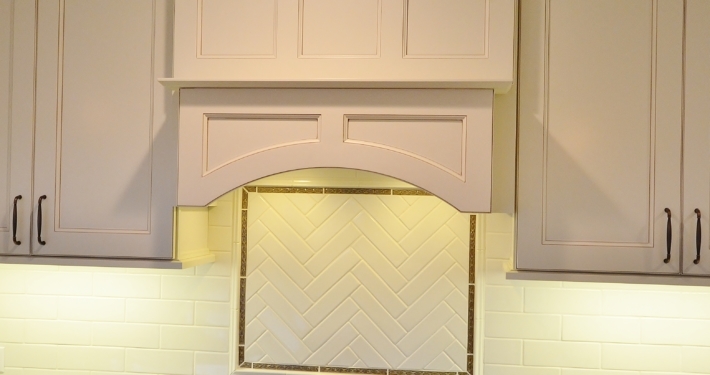 Handmade Sonoma tile backsplash in a 3×9 Stellar Square Gardenia with an accent feature above the new range tops off the look. 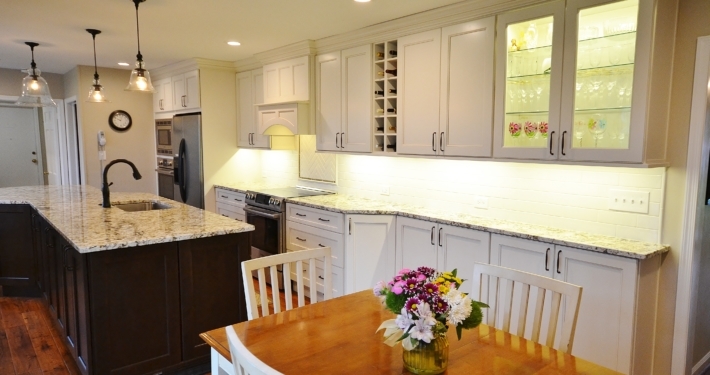 All new lighting was installed from 6” recess LED ceiling lights to new Sunbound LED under cabinet and interior lights. In all, a total transformation.